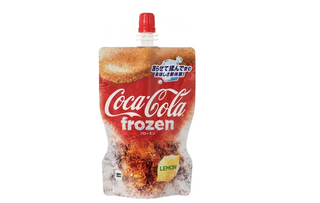 Summer is still a while away, but Coca-Cola is releasing “Coca-Cola Frozen Lemon” this week in Japan. It’s a Coke-flavored slushie style drink with, you guessed it, a twist of lemon. The drink comes in a squeezable pouch, and according to Entabe, it apparently took eight years to develop this product from conception. From the sound of it, keeping Coca-Cola flavors in frozen packet form was harder than you’d think. Word has it that the frozen Coke tastes like frozen Coke. That’s good.